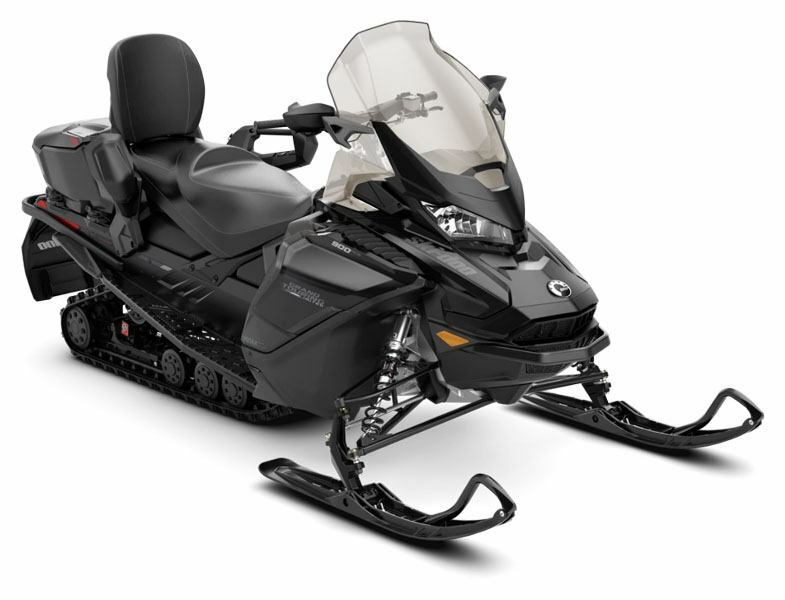 The new 2020 Ski-Doo Grand Touring Limited is the perfect recipe for maximizing winter enjoyment. A sophisticated refinement of comfort and style, mixed with great performance built for pilot and passenger to get the most out of winter. REV Gen4 PLATFORM: The 4th generation of the REV platform is designed around trail riders with a narrow, compact package giving the rider more freedom to move and influence the sled. More centralized masses (especially side-to-side), light weight and industry-leading suspensions make the vehicle ultra responsive. AIR RIDE REAR SHOCK: Air Ride delivers another level of control and plushness. You tailor the ride for trail conditions or load – on the fly – with just a flick of the handlebar rocker switch, which adjusts the rear air spring to one of five preload settings. 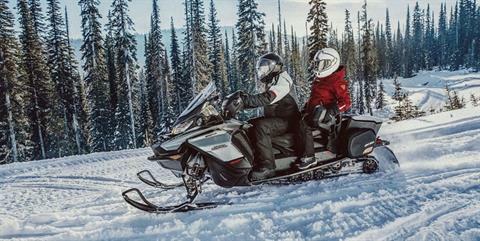 LUXURY HEATED SEAT: Bitter morning rides are a thing of the past with two selectable heat settings in the plush trail seat. LINQ CARGO BOX: Standard hard-top weather-resistant bag adds 62L (16.1 gal) of storage on the tunnel with additional storage capabilities for optional stackable LinQ accessories on top. 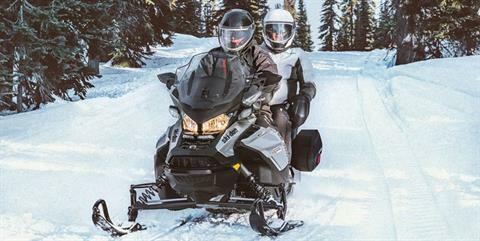 HYPER PROTECTION: Rider comfort is essential to long days on snow. Ultra High windshield, specially sculpted side panels and running board flares keep wind and snow away and riders warmer. SILENTDRIVE SYSTEM AND SILENT TRACK II: Track drivers, interior track design and suspension geometry designed to reduce sound to the riders that is clearly noticeable as well as reduced vibration to the rider’s feet. The Silent Track II is a 15 x 137 x 1.25 in. (38 x 348 x 3.2 cm) with RipSaw lug pattern. HEAVY DUTY REAR BUMPER: Improved protection with towing capability standard.